Masterminds’ International Cricket Tournament was organized by the Department of Physical Education and the cricket team of the University of Colombo. 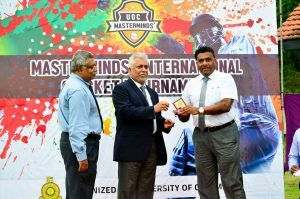 The tournament took place in the form of a T20 league and this was the first time to organize an international T20 tournament under University level. 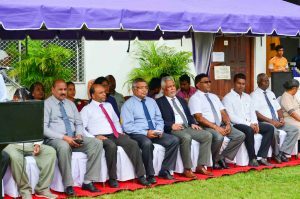 The tournament was successfully held with the participation of 4 cricket teams; University of Colombo, University of Moratuwa , University of Kelaniya and PES University, Bangalore. The tournament was held on 27, 28 and 30 of October at the University of Colombo Ground with festive atmosphere. 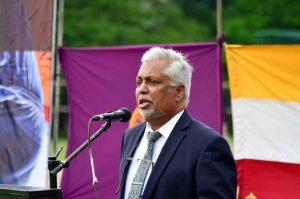 In order to make this event a huge success the support given by the Vice Chancellor of University of Colombo, Mr. Lakshman Dissanayake was immense. 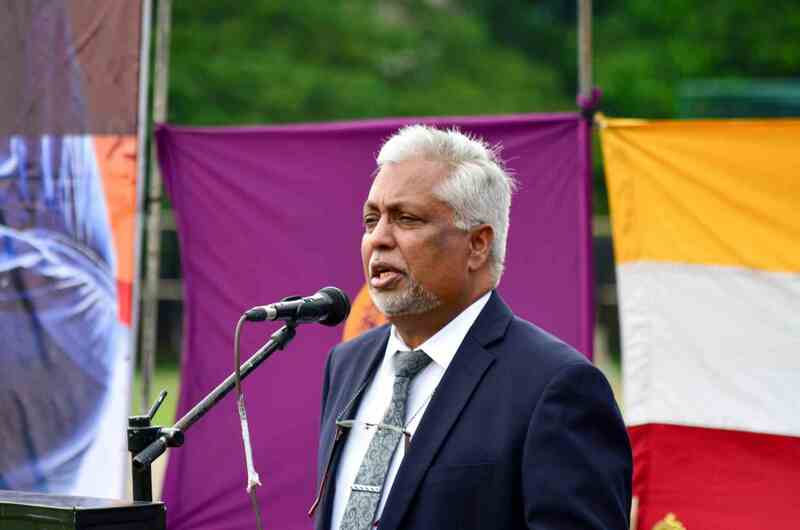 The Cricket team of the University of Colombo, will thrive harder to make this event more successful in the upcoming years by inviting more local and international teams. University of Colombo reached to the finals of the tournament by defeating University of Moratuwa handsomely by 7 wickets while PES University, Bangalore reached to the finals by beating University of Kelaniya by 3 wickets. PES University, Bangalore and the University of Colombo played for the finals of the Masterminds’ International Cricket cup. PES University, Bangalore was rattled up for 88 runs in the finals where Tharana Nakandala claiming 5 wickets. University of Colombo completed the run chase easily without dispatching any wickets. Udesh Sendanayake scored an unbeaten half century bringing the glory to their side. 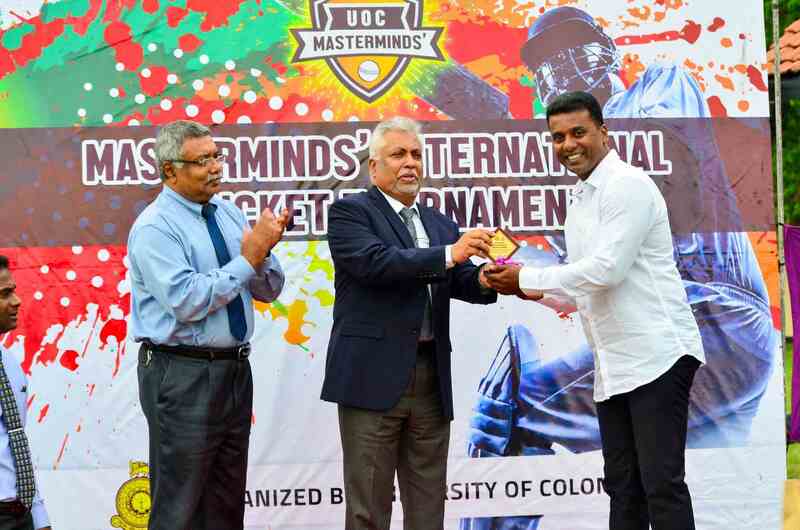 University of Colombo was entitled as the Champions and PES University, Bangalore became the Runner up in this Masterminds ‘International Cricket cup. University of Kelaniya claimed the 3rd place in this tournament defeating University of Moratuwa for the consolation final match. 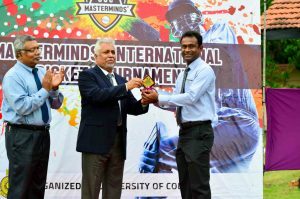 Best Batsman of the tournament was Mithun Bhatt from the PES University ,Bangalore and best bowler was Thushad Wijesekara from University of Moratuwa where as Dinuk Wickramanayake from University of Colombo emerged as the best fielder of the tournament. 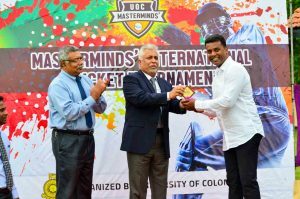 Captain of the University of Colombo team Tharana Nakandala became the player of the tournament for his all- rounding skills.